Employers have a duty to ensure their employees are free from harassment, and inappropriate behaviour in the workplace. Failure to do so may expose the company to civil liabilities, extensive legal fees and other intangible issues. Employers should not take these types of allegations lightly as it can result in lower productivity, higher turnover along with a negative affect on job satisfaction, and ones physical and psychological well-being. 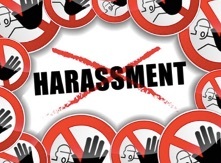 Inappropriate conduct in the workplace comes in various forms, the most common forms are verbal abuse, violence, sexual harassment, sexual comments and unwanted touching. Employers should ensure they have an appropriate workplace safety policy, anti-harassment policy and a confidential process for reporting behaviour to protect their employees. Not only should these policies be written down, but employers should ensure employees are aware of the policies and provide ongoing training on how to deal with such issues. The applicants were awarded over $100,000 financial compensation for the discrimination and harassment they experienced along with $40,000 in lost wages. As well a server who was employed at Houston Avenue Bar & Grill alleged that she had been groped by the owner and was awarded $20,000.00 in compensation for injury to her dignity, feelings and self-respect and $9,440 for lost wages Granes v. 2389193 Ontario Inc., 2016 HRTO 821 (CanLII). Sometimes legal action becomes necessary when an employer refuses to adequately address harassment and discrimination in the workplace. Speaking with an experienced legal professional can help you to protect your rights and determine if pursuing a claim if you have been victimized. If you are concerned about workplace incidents make sure to contact Monkhouse Law today for a free consultation.